Welcome, and I thank you for visiting. 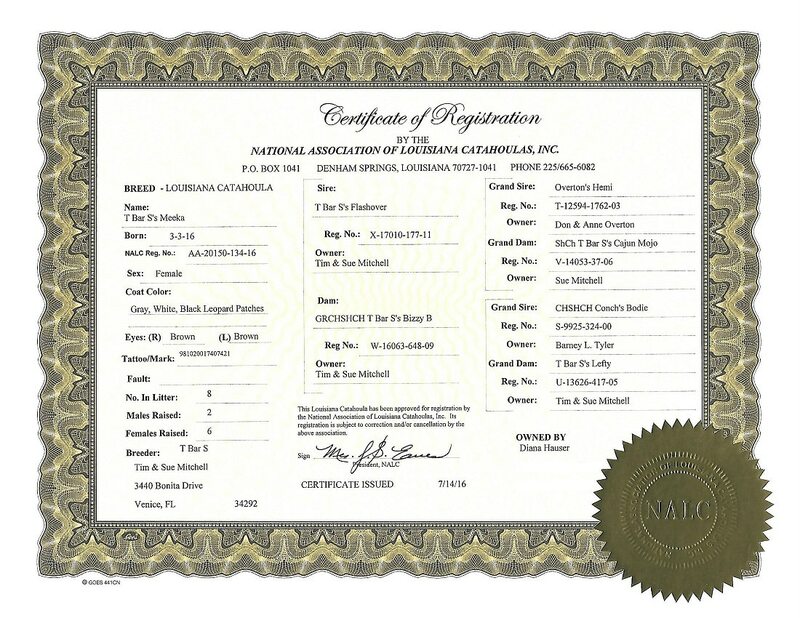 I am offering a free guide for those interested in learning the history and development on the Louisiana Catahoula Leopard dog. This information guide covers general appearance standards, history, characteristics, training, exercise and much more. Can be read, downloaded and even shared here. 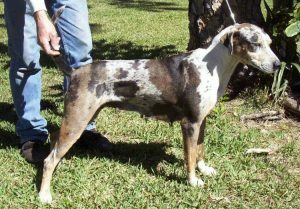 The Catahoula Leopard dog is one of those lucky breeds that come in a wide variety of colors and patterns, from solid to the merle pattern, which resembles the leopard pattern and gives the dog its name. 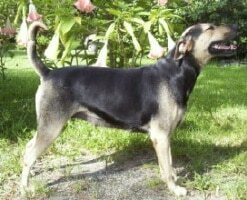 There were three lines of Catahoula dogs being bred by different breeders for many years of varying size and color, and the crossing of these three lines is what gave today’s Catahoula the wide variety of colors and patterns. 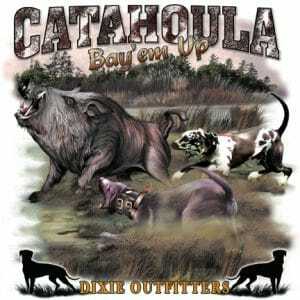 In this article, we’ll take a closer look at the best known feature of the Catahoula Leopard dog; its coat. 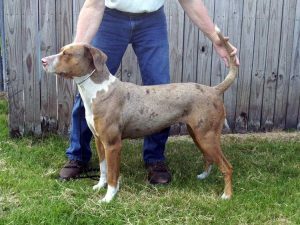 When one thinks of a Catahoula Leopard dog, the first image to come to mind is a dog with a striking pattern of patches of color all over the coat. This is called a merle pattern, and is actually created because parts of the coat lack pigment or what most of us would call white. 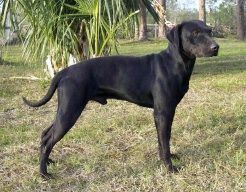 Therefore, a dog can have sections of very dense color broken up by areas with no color at all, creating the distinctive merle coat. A blue merle coat can be anywhere from mostly grey to mostly black. This color is sometimes called grey leopard or black leopard. Red leopards can very from darker red or chocolate brown to very light red in their patches along with the white. These red coats are sometimes called chocolate leopard or brown leopard. 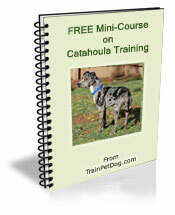 Another interesting pattern of the Catahoula dog is the Patchwork pattern. Patchwork patterns are leopard patterns with a variety of colors, instead of the typical two tone pattern of a regular leopard pattern. The background color of a Patchwork coat is usually white or very light, while the patches are usually a combination of blue and black or are red based. These patches are usually large and have the appearance of being torn or blotchy. 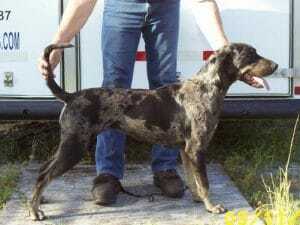 Solid coats also exist in the Louisiana Catahoula Leopard dog. The solid colors that are most prominent in these dogs are black, red, yellow, chocolate and brindle, which is actually the combination of colors that can result in a subtle tiger striping pattern. Sometimes this pattern is so subtle that the color can be mistaken for a totally solid color without very close inspection. 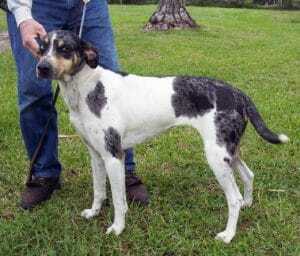 Finally, a special mention should be made about Catahoula Leopard dogs that are mostly white. 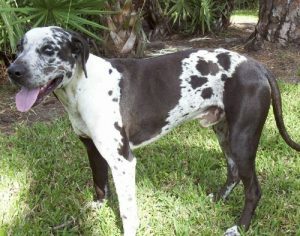 This white coat usually happens when a dog has inherited two copies of the merle gene and is often called double merle. Unfortunately, many of these dogs have health problems and can be blind or deaf from birth, in addition to having a number of other health problems. 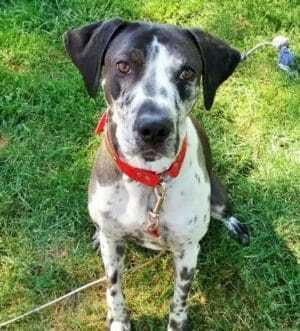 One expert estimates that as many as eight percent of double merle Catahoula Leopards will have hearing or vision problems.